Meeting : Financial and banking crisis. Regulation issues ? Regulation in question ? 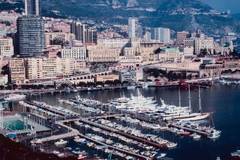 The fourth banking and finance law international meeting will be organized by the European Society for Banking and Financial Law of Monaco and will be hold at the Monte Carlo Bay Hotel (Principality of Monaco) Friday November, 28th. and Economics and Financial Affairs. Under the chairmanship of Jean-Michel Daunizeau, General Counsel of Credit Agricole SA, President of AEDBF-ESBFL France. Pedagogic part of the former crisis on the present actors: Memory or Amnesia by Francis Teitgen, Attorney at Law, Former President of the Paris Bar. Rating Agencies: last European Commission proposals by Eddy Wymeersch, Professor at the University of Gand, President of the Belgian banking and Finance Commission, President of the Committee of Europeans Securities Regulators. Commercial and retail banks roles in the crisis by Alain Ucari, C.E.O of Credit Suisse Monaco. The legal risk management in time of crisis by Hubert de Vauplane, General Counsel of Calyon, and Professor at the University Paris II, Dominique Doise, Attorney at Law, Member of the Paris Bar, and Philippe Neau-Leduc. Under the chairmanship of Thomas Giaccardi Attorney at Law, Former member of the Monegasque Parliament. Prevention, crisis management and responsibility of the regulators by Jean Castellini, General Secretary of the Monaco Financial Activities Control Committee. Banking and Financial crisis and conflict of law and conflict of jurisdictions by Anna Gardella, Attorney at Law, Member of the Milan Bar, Assistant Professor at the Milan Catholic University. Rating agencies in question by Alain Piquemal, Professor at the Nice – Sophia Antipolis Law University. Panel discussion : “The Crisis: Lawyers point of view”, led by Jean-Marie Canac, with the participation of Philippe Neau-Leduc, François Poher, Deputy President of the Monaco Association of Compliance Officers, Michel Tison, Professor at the Gand University, Roberto Feretti, Attorney at Law, Member of the Milan Bar, Professor at the University of Milan. Conclusions : Jean-Pierre Mattout, Attorney at Law, Member of the Paris Bar Professor at the University Paris II, Former President of AEDBF- ESBFL.